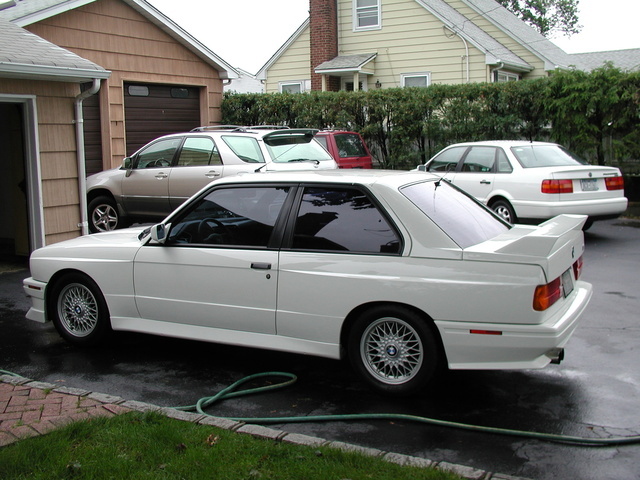 Have you driven a 1988 BMW M3? Displaying all 9 1988 BMW M3 reviews. Handling Ranked 1988 Honda Civic CRX better. Looks/Style Ranked 1988 Honda Civic CRX better. "it is a harte breaking car with more engine action and exhsuste note and faster off the line"
Front Seats Ranked 1988 Honda Civic CRX better. Cargo Capacity Ranked 1988 Honda Civic CRX better. Get One, You Won't Regret It. — The most fun car I have ever owned. This car is truly a joy to drive, and can out handle any car. Tons of upgrades to this car, I have the Euro 2.5 in mine, with other upgrades, I have 280hp, and is a blast to drive. Pros: Simply the most fun car out there. Cons: Parts can be expensive, and hard to find. No Car Is More Fun To Drive. — Most fun you can have behind the wheel of a car. Still competitive today with its handling abilities. 192hp from an 80s 4-cylinder was way ahead of its time. A very rare car, it is definitely an attention getter anywhere you go. Pros: Fun to drive factor can't be beat. M3 — good performance, perfect quality, fun factor is leading, good drift, cost not too much for weekend car, interior is simple and with good quality, gearbox is sport, have LSD 25 %, low suspension, 200 h.p from 2 l capasity, custom paint. 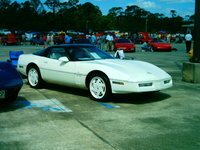 Powerfull Car — Performance:Amazing/NOS-Turbo-3400cc-85%braking & handling. Build quality:NO need 2 repair its solid Fun Factor:This car is so much fun 2 drive nd its dangerous car in the same time this car is the best 4 drifting...i love it.. The Real Bmw M3 — Now officially a classic collector's car, with only 4996 made for the U.S. Moreover the e30 M3 is a racing legend, holding the record for the most wins in racing, period... I love it's balance, handling and styling most simple but effective. With modern upgrades like standalone engine management and turbos this classic can still dominate it's class and others! 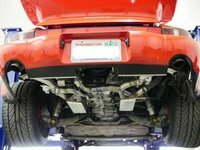 Cons: Part availability and prices of 20 yr. old parts. Most Satisfying Car Ever Driven — This car truly is a testament to BMW's ingenuity and pursuit of building the ultimate driving machine. Your driving experience with this car on a mountain road is beyond anything you could possible imagine. This is my most favorite car of all! Even with 212k original miles on the S14 motor it still sings to me at high revs. Performance Icon. Perfect Balance. — Great engine, great handling. In almost perfect shape, in and out. E30 M3 Legend — This is a classic 1988 E30 M3. This car hold the records for most touring car championships ever under one vehicle. 50/50 weight means this car is very easy to throw around the circuit and you know exactly where she is going to end up. Powered by a 2.3l inline 4 with approx 193HP. Pros: Fun car, 50/50 balance and a real piece of history. Cons: lack of power to todays comparable cars.